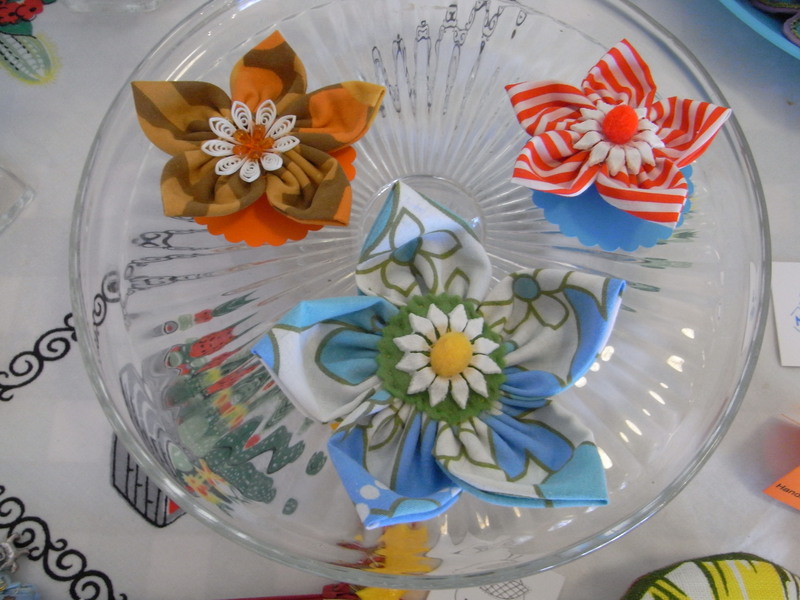 Join Gillian from Fabric Nation for an afternoon of brooch making. Gillian will be showing you different techniques for creating textile brooches from her fabric collection. 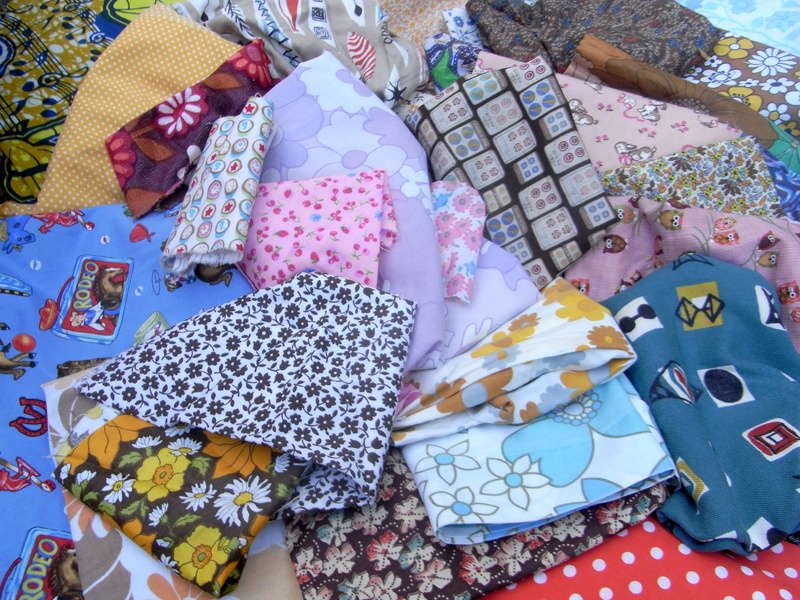 You will have the opportunity to delve into Gillian’s fabulous collection of vintage, upcycled and contemporary fabrics from all over the world, including japanese linens, 50s barkcloth, american quilting cottons, Ghanaian wax prints and new designer prints. Team these amazing fabrics up with vintage buttons, trims and felts to create unique and colourful brooches and hair accessories, perfect for Maytime frolics. Gillian will show you a range of techniques which only require very simple stitches to create lovely textile flowers that can be used to make brooches and hair slides. If you’ve never sewn before, or have more experience but want to learn new techniques, this workshop will suit all abilities. 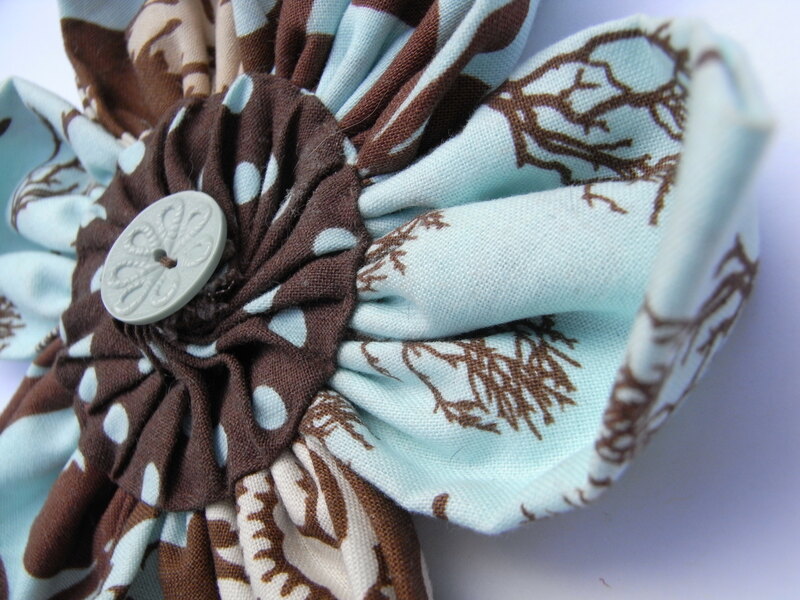 Those who have never sewn before will receive a basic sewing tutorial and there are some extra special new designs to learn of you have made a brooch with Gillian before. All materials and tools are provided and tuition will include step-by-step demonstrations and one-to-one help. 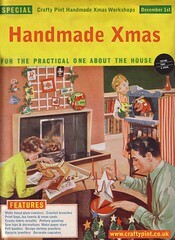 You will leave with a set of fabulous textile accessories, and for pre-booked places, a free Fabric Nation needle book. Children are welcome, but will need an adult to assist with the tricky bits and sharp scissors. The workshop takes place at Tooting Tram & Social from 2pm to 5pm on Saturday May 7th. A place on this three hour workshop costs £15. To book a place email gillian@fabricnation.co.uk or call 07792 776218 or click on the Paypal link below, and enter £15 per person. Pre-booking isn’t essential, you can just turn up, but we have a free needle book for everyone who pre-books a place. Entry filed under: Crafty Pint, Events. 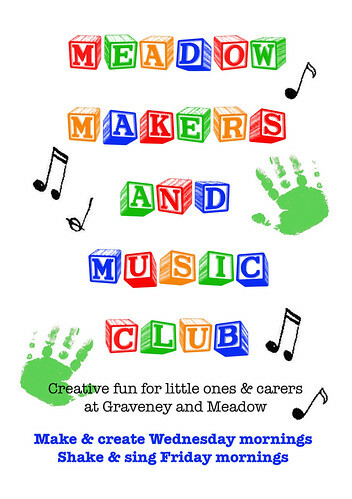 Our first workshop	Tooting’s Spring Festival…. Where can I buy the backing for a brooch – the actual pieces that attach to the actual hand-made pin? most craft shops sell them!